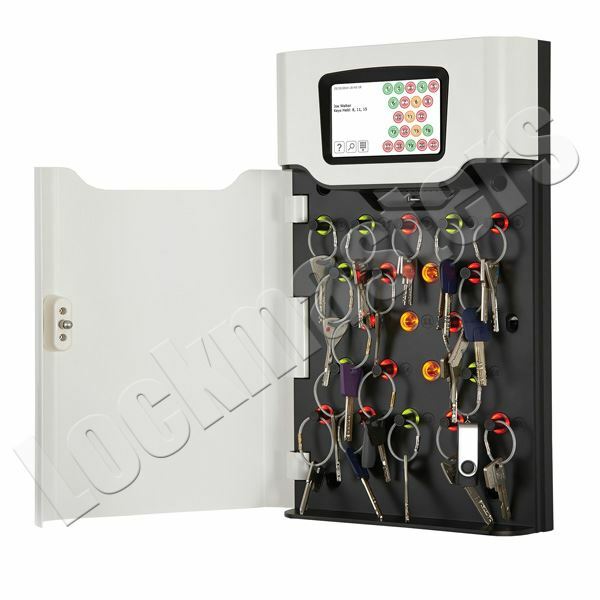 Stand-alone key management system which combines RFID technology and robust design to provide small to medium sized business with the advanced management of 21 keys or keysets in a plug and play situation. User, key and access rights administration. No requirement for network connection or PC, concealed fixing points allow secure wall fixing, mains operated with optional battery backup.